Racedots. Pretty baller idea and, so far with great execution. 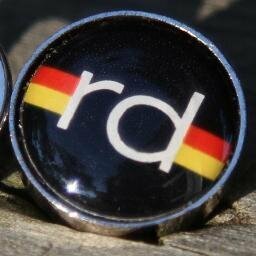 We are definitely going to support Racedots. Hopefully, one day can do custom YGD Racedots. You should support them to...because duh. Awesome. The video is magic, especially the infomercial'eske scene of the lady fumbling with her safety pins. Well done, Racedots..well done. Check 'em out and maybe these things will be the new normal. Fat guys like me can get their numbers on first try without ripping their $175 skinsuit. Copyright YouGotDropped. Picture Window theme. Powered by Blogger.